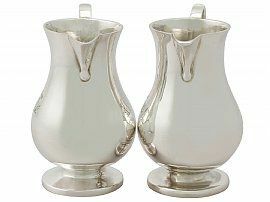 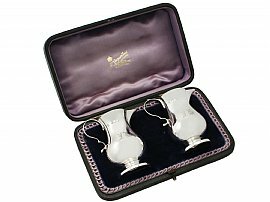 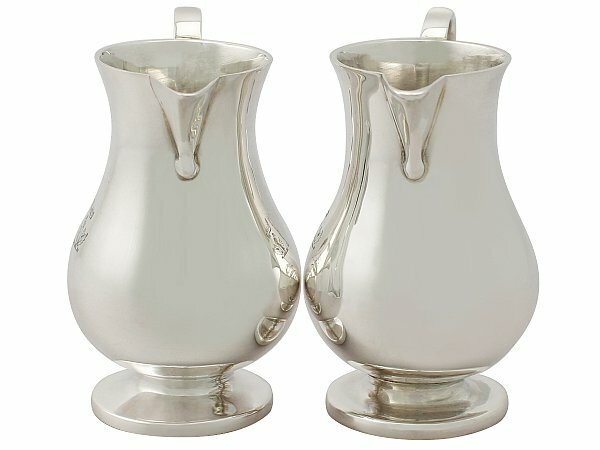 These impressive antique Victorian sterling silver cream jugs have a plain baluster sparrow beak style form onto a circular spreading foot. 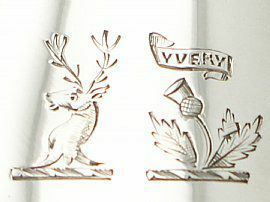 The body of each jug is embellished to one side with two impressive bright cut engraved crests, a stag's head erased and a thistle erect, leaved below the motto ‘Yvery’*. 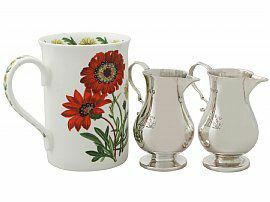 The jugs are fitted with opposing scroll handles, each ornamented with a subtle plain thumbpiece. 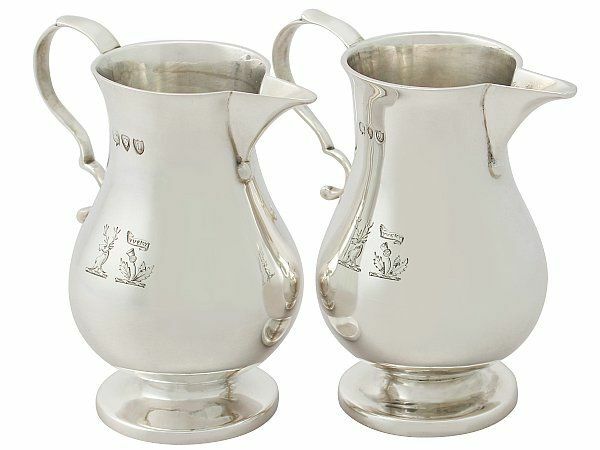 These impressive antique cream jugs have sparrow beak style spouts. 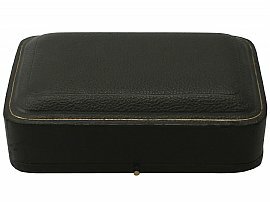 These cream jugs are fitted to the original hinged leatherette box with satin and velvet lined interior and push fit catch. 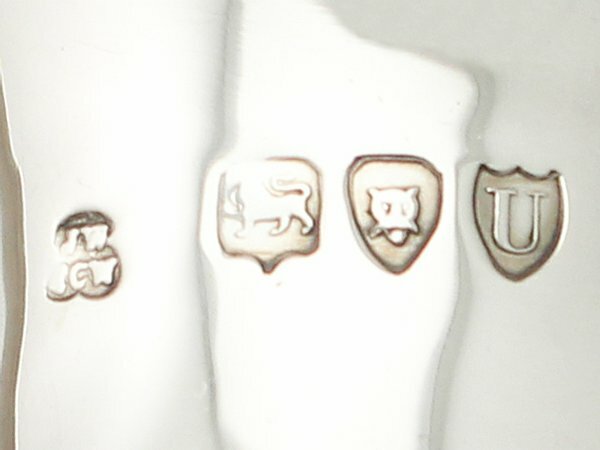 The interior of the box bears the retailer’s mark ‘William Angus & Sons Silversmiths, 27 & 29 Lord Street, Liverpool’. 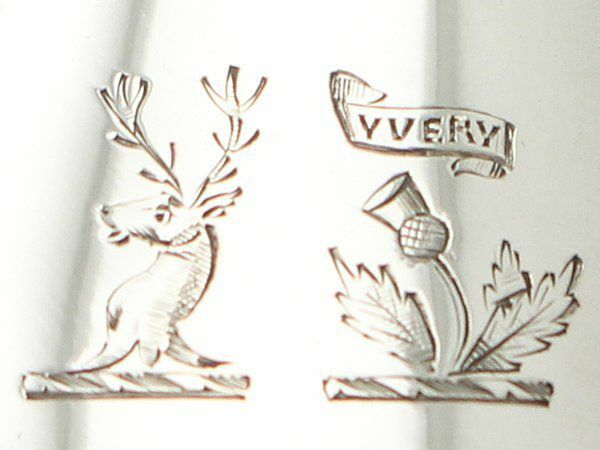 * The collaboration of the thistle crest and the motto ‘Yvery’ may be associated with the motto ‘Sub cruce candida’ – under the fair cross. 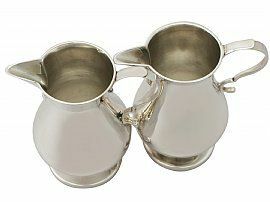 These antique victorian jugs are a very good gauge of silver, fine quality and in excellent condition. These jugs have been professionally polished and are in presentation condition. 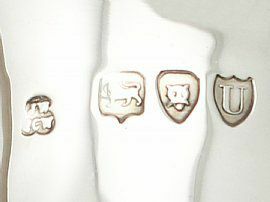 Full hallmarks struck to the surface of each jug are all very clear; the maker's mark to one jug is rubbed. 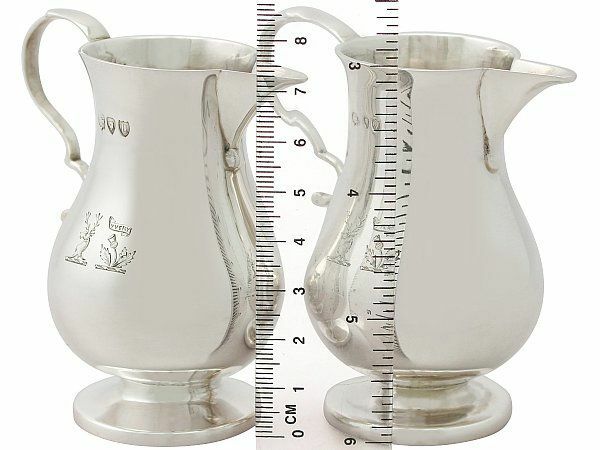 Length from back of handle to tip of spout 7.4cm/3"